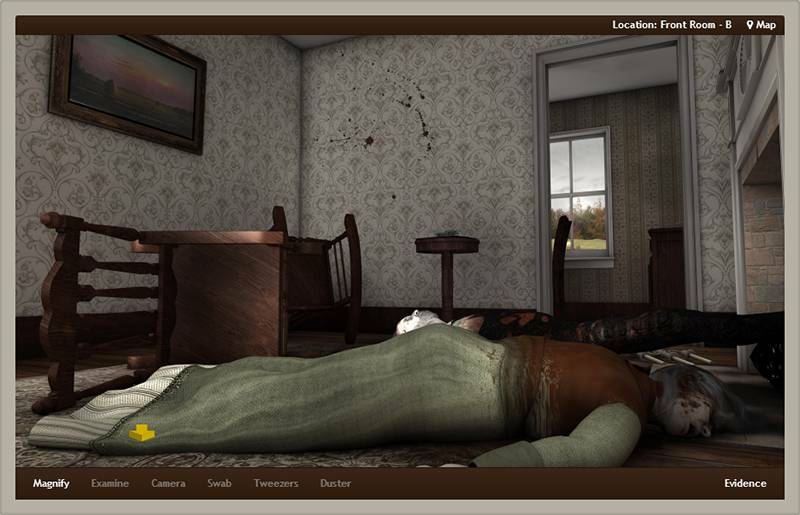 The Murder at Old Fields online Forensic Science Lab Activity is truly a cutting edge tool for teachers and students to learn forensic science through an objective-based, learning-by-discovery educational tool. 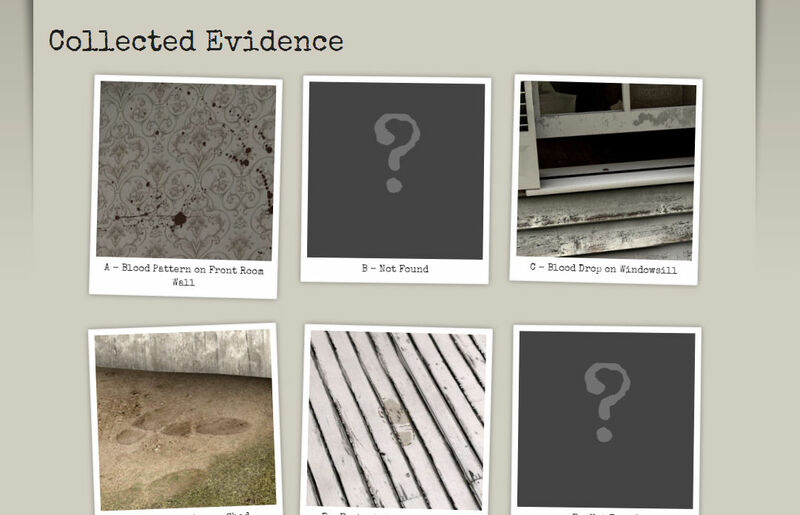 Lessons that teach the real forensic science according to National Science Education Content Standards. 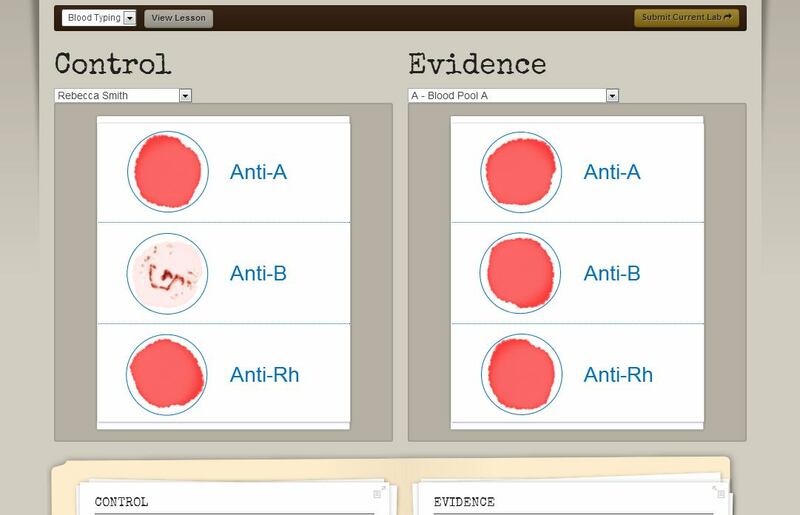 Quizzes auto-graded to quickly and easily gauge a student’s mastery of the science lessons. 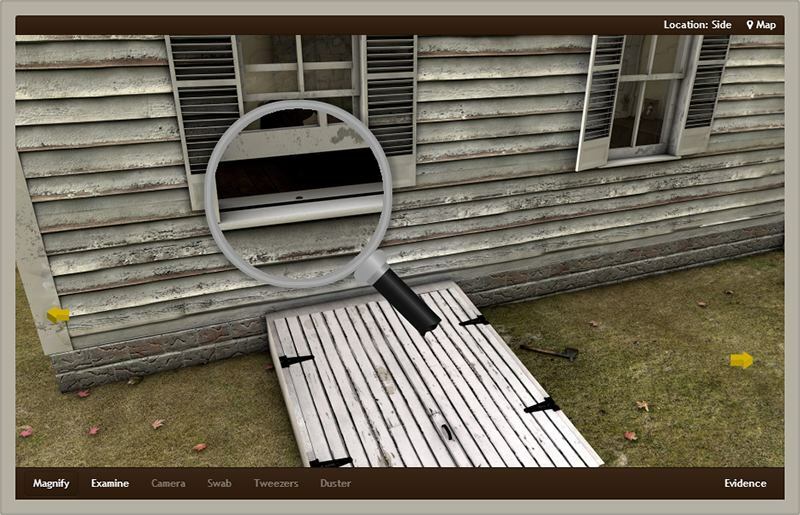 Discovery of the evidence at the 3D crime scene of a historically-accurate rural American 19th Century farmhouse. 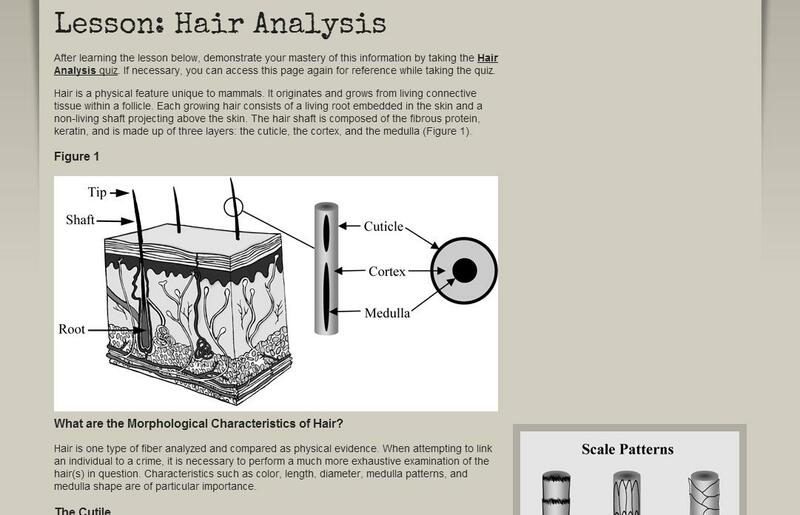 Lab activities to analyze evidence, record data and apply the scientific method to solve problems through a compelling and engaging use of the most advanced online tools available. 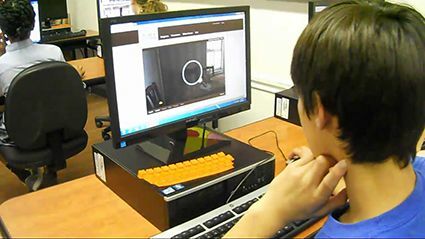 Easy to use accounts where students can assess their results and teachers can monitor student performance. Teachers can choose to enable some or all of the lab activities to accommodate the class schedule and help students learn through discovery, at their own pace. 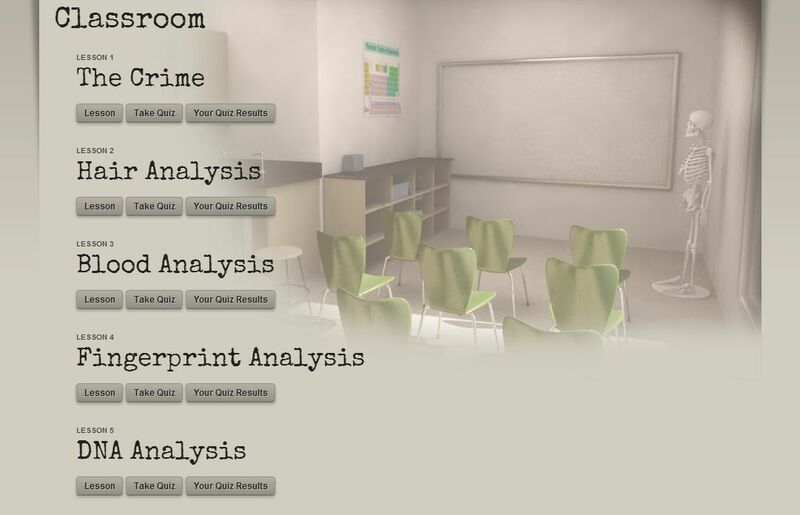 Meticulously crafted to reflect the facts of this long cold case, Murder at Old Fields is also an ideal interdisciplinary/cross-curricular learning experience, with a rich immersion in American history and a strong narrative of the crime and the time. 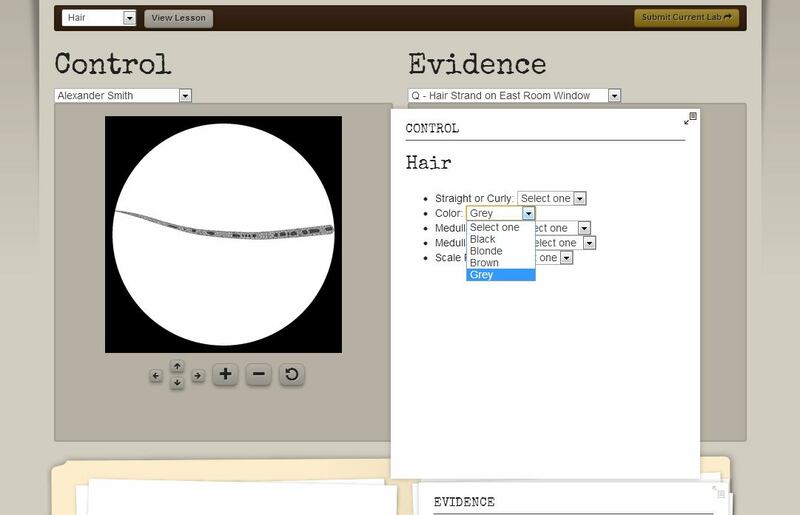 Along with the real-world lab activity kit, the online version of Murder at Old Fields provides complete flexibility to work in your lab at school, or on the computer either at school or at home. 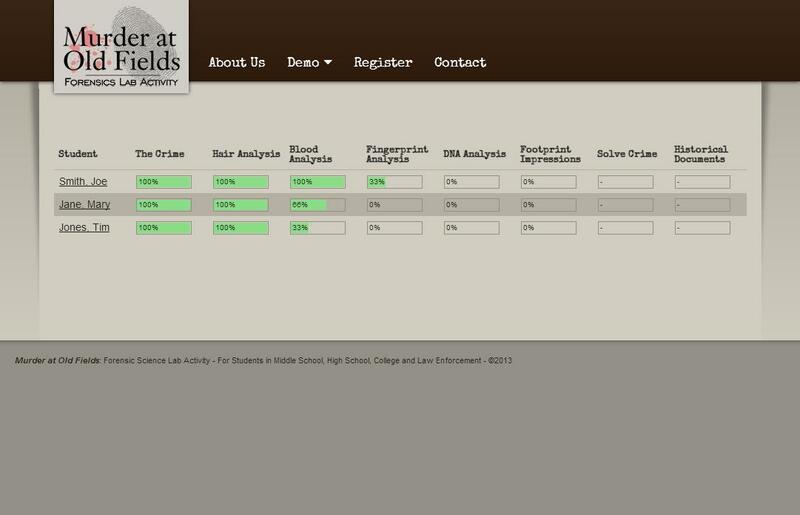 The online version of Murder at Old Fields is also an engaging learning tool for introductory students in law enforcement. 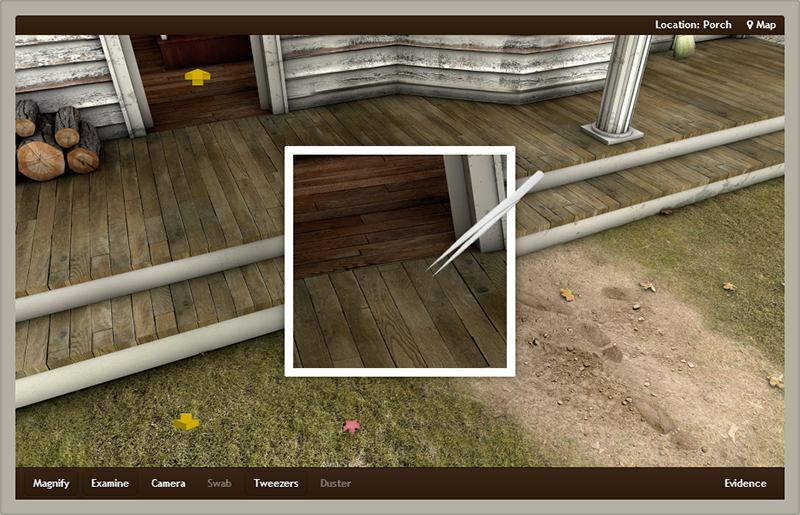 And Solve the Mystery of…Murder at Old Fields.